The Ball's in YOUR Court! We are all about serving others...and having fun while doing it! Join us in helping support our future service projects and charitable work through some friendly competition and the chance to win big! Proceeds from this event will help fund our service projects throughout the year - which have included The Night Ministry, Rise Against Hunger, Common Pantry, ShelterBox, Supplies for Dreams, and many more. So, what's the deal you ask? Registration is open from today through 11AM on 21 March. The cost is $20 per bracket, and you may complete up to three brackets. $10 from each bracket will help fund club service projects, including our flagship event for Rise Against Hunger later this year. The other $10 goes towards the winner's pot! The more people and brackets in the game, the bigger the winnings, the bigger impact on the community! 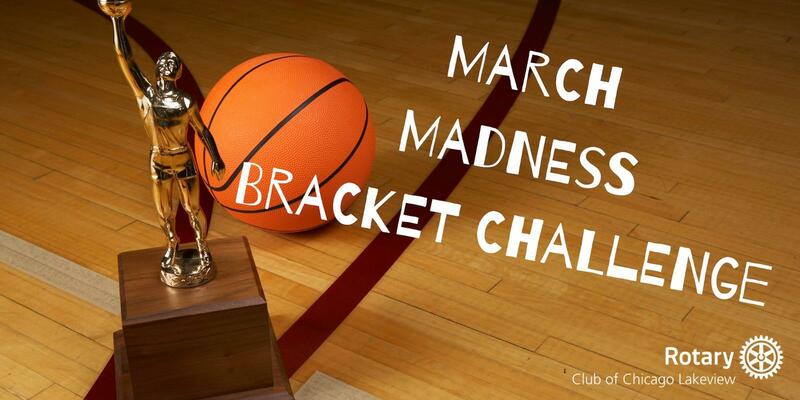 Click through for more details, and to get your brackets today!